Looking for alternatives to Tapinfluence? Tons of people want Influencer Marketing software to help with influencer segmentation, influencer analytics, and reporting and dashboards. What's difficult is finding out whether or not the software you choose is right for you. We have compiled a list of Influencer Marketing software that reviewers voted best overall compared to Tapinfluence. Based on reviewer data you can see how Tapinfluence stacks up to the competition, check reviews from current & previous users, and find the best fit for your business. Dovetale is a data focused influencer platform for brands that focuses on social media. "Must have Influencer Marketing App: Dovetale is a user friendly and yet an extremely rich platform that provides key influencer marketing analytics that are essencial in digital marketing strategy currently and even more so in the future. From startups to established brands, Dovetale is key in managing influencer marketing strategy. Is ever more challenging but also more important than ever to find the right and most authentic partnerships when using social media. Dovetale has provided the analytics that my company needed to identity the right influencers to my audience across the globe and also a way to monitor their performance. " AspireIQ is a platform that allow brands and content creators to seamlessly discover, manage and analyze the impact of their campaigns. "AspireIQ has been a huge help in scaling our influencer efforts : It's easy to set up campaigns and the account managers are responsive and make themselves available to help answer any questions. I love how quick the campaign set up is and love that we were easily able to invite new creators and discover them through the platform. We've been able to build valuable relationships with influencers who became fans of our products." CreatorIQ provides an end-to-end influencer marketing technology platform designed to enable agencies, publishers and brands to invest more time scaling their influencer programs. "Influencer Operations Life-Savor : CIQ has been a consistent tool for my team in influencer operations for almost 3 years now. It has saved me countless hours in audience research, i.e. 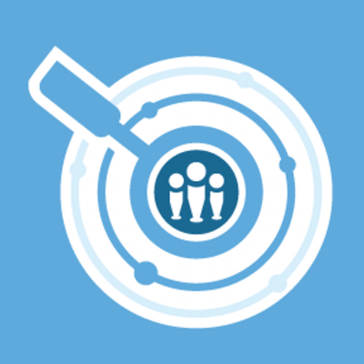 providing quality audience insight when a specific target audience is required for a campaign. It also includes an in-depth Discovery Tool that allows you to search for creators based off of bio descriptions, content search, brand affiliates, and keywords. This plus the ability to put together documentation while tracking posts in a campaign is one of the many reasons I recommend companies to use CIQ. " Influencer Management Platform. Everything you need to discover your influencers, manage key relationships, and measure their impact on your business. "Comprehensive, easy-to-use influencer management platform: I love the ability to easily organize and track large amounts of influencers, and deep-dive into their social activity in one place. Their tool is extremely user-friendly and didn't require too much training to get acclimated. Having purchased other solutions in the past, I would also say that I've been impressed by the quality of support I've gotten from their team. They do a great job at onboarding and sharing the right amount of resources to help you get started. And they're very communicative when it comes to answering your questions and sharing product updates. " Upfluence Software is an all-in-one influencer marketing platform that allows brands to identify their influencers and launch campaigns in minutes. "High performance and friendly people : Tools are very simple to use with a high level of performance. My account manager was very friendly and available for each questions I had. Very quick in attending you. Very great support. The results were fullfilled very quickly, they really dispose from a qualitative network. Our campaigns were very simple to launch. Very simple also to reach the influencers. Very good segentation you can trust in. Account manager always here to help and give some tips. Respond very quickly to emails. The scope is very large and you can find very diferent kinds of influencers. Their audience is also very well defined and very relevant." Influenster is a product discovery and reviews platform that enables consumers to find new products and get advice to make informed purchases. "One of my Favorites: I have been using Influenster for around 6 years and I love that they are always making improvements. They now have a reliable, easy to use app that is simple enough for beginners to figure out. The website is also easy to navigate as well and has a good layout. I love that I can test out and review products and provide valuable information after testing out the products." Julius is a SaaS Influencer Marketing platform that provides marketers with influencer data, advanced search capabilities, and the campaign management tools required to organize a successful influencer marketing strategy. "An effective and efficient influencer marketing platform: Julius feels like we a have an entire influencer marketing team at our disposal. In addition to providing great influencer insights, data and information about their audience, it allows us to add other people that aren't in the system. Usually, these updates are made within 24 hours so we don't miss a beat. Absolutely love this feature!!!" Klear is a social intelligence platform. They measure the social web and let brands utilize our social monitoring, influencer marketing and competitive research tools to do smarter marketing. "Analytics, Influencer Mapping & Online Monitoring made easy. Very easy! : I love the ease and depth of monitoring available, for your own data, and that of your competitors. Also like the smart user interface and various features to map, track and understand your influencers. But probably the best thing about them is their customer service - the team is very open to feedback and over the last year or so, I have seen them adopt many new features based on feedback. " Grin isn't a marketplace or a network looking for a cut of your budget. Itʼs simple, subscription-based, software that helps you run influencer marketing campaigns your way. With Grin you get the systems and data you need, while retaining complete control of your influencer relationships. "The Best Influencer Platform to Help You Grow Your Ecom Site: I am a big fan of having everything in one spot, emails, contracts, supporting documents, payments, conversion tracking, etc. It makes is so easy to manage and so much easier to scale. I also find their pricing to be extremely reasonable. We did a lot of research prior to deciding to switch to Grin and not only did Grin have great pricing but they didn't limit brands on what functionalities they could or couldn't use (ex. we have unlimited campaigns)"
Activate is software that allow influencers to grow their following and monetize their social presence. "Marketing campaigns with an emphasis on quality & professionalism. : The staff and quality of brands I work with at Activate are top-notch. The Activate staff do a stellar job representing me to the brands and advocating for my interests as an influencer. They are a pleasure to work with and hold themselves to the utmost level of professionalism. The brand campaign opportunities available through Activate are also some of the highest quality and they offer opportunities to work with some of the best companies in the industry." Sideqik is a software that allows e-commerce companies and brands to evaluate new influencers and launch campaigns to reach their like-minded audiences to grow revenues. "Sideqik has changed the way we approach influencer marketing: Sideqik is a fantastic, all-inclusive platform not only for influencer marketing, but for social/digital activations as a whole. They host a wide range of capabilities from influencer sourcing to custom landing pages to providing the ability to understand/tap into the pulse on a specific topic or event." Scrunch is a data-driven influencer marketing platform that allows brands and agencies to discover influential bloggers and social media influencers, and manage influencer marketing campaigns. "A new way to find influencers + campaigns! : Brands: search for influencers of all different niches with ease. Influencers: get opportunities sent right to your email inbox." TrendKite Influencer Marketing, the Social Relationship Intelligence Platform, is the smarter way to drive relationships on social. "In-Depth Analytics for Big Brands: TrendKite does a great job in capturing every possible insight that a PR/Marketer could want when it comes to media - share of voice, reach, sentiment, PR attribution, and more. It makes reporting a breeze. Instead of hours of analysis, it’s just a few minutes adjusting some of the dashboard fields." "Awesome platform for collaborations: Reachbird is a great application for companies to get in touch with Social Media influencers. It has a very easy to use website which is also working perfectly on mobile devices. In case of any complications there's step-by-step video tutorials on how to do specific things. I can highly recommend it!" Paladin is a creator management platform for media companies, MCNs, influencer marketing agencies, and digital publishers. "Excellent tool for managing your network: Paladin's tools have allowed us to scale much more rapidly and manage a very complex worldwide payment landscape. They are constantly improving their product and are very responsive to our suggestions for additional functionality. Managing a business built on top of YouTube is already a big challenge, so we're glad to count on Paladin's tool set to help us manage the changing regulations while we focus on supporting our growing partner base. Integrated onboarding, support, reporting and payments allow us to operate very lean, while efficiently managing our creator communities. Their tech support is top-notch. " Onalytica provide an Influencer Relationship Management software that allow brands & agencies to identify and engage with relevant social influencers. 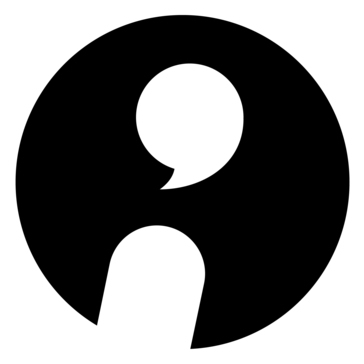 "Great tool to tract: Onalytica is a great that makes tracking influencer relationships simple. This data, that would typically be obscure and hard to track, is made easy with the tool. I love how you are able to input the influencers you are tracking and see the touchpoints between your company and them. The daily email feature makes interacting with influencers easy as an email comes straight to your inbox with top posts by them. It also makes it easy to maintain and track relationships you create with influencers." IZEA connects brands with influential content creators and publishers. Their platform enables content marketing and influencer marketing at scale. "Izea or Idea? : The platform has great customer service and people who can help you around the platform and are very nice. " 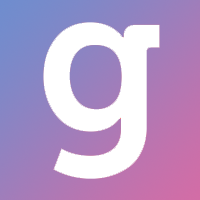 Grapevine is a platform that help marketers to identify the right creators, facilitate relationships, track performance and become influencer marketing pros. "Great Concept, But Limited: Thousands of YouTube and Instagram influencers at your reach." 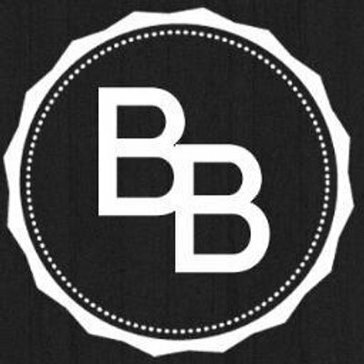 BrandBacker is a fast growing blogger, vlogger and influencer network that connects brands who want to get exposure on blogs and social networks to over 10,000 bloggers and influencers looking for opportunities. "Amazing Platform For Business: Brandbacker is an amazing place for the engaging audience. They help us increase audience on my blog and help us in promoting our products. Really a good platform for blog exposure!" 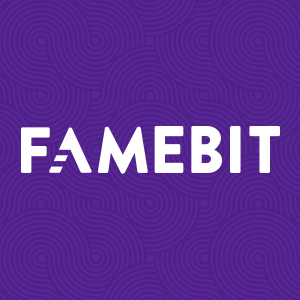 Famebit is a marketplace that allow brands and video creators collaborate for branded content that is shared with millions of engaged viewers. "Your Connection to Influencers: Famebit is a nice way to get you connected to influencers to get your product out there. You'll get full access to the background of the people who fit your niche. It's as easy as posting an advertisement and discussing pay. " Hi there! Would you like help finding solutions similar to Tapinfluence?